This is a League of Legends Blog hosting the latest in League of Legends news and strategy guides. 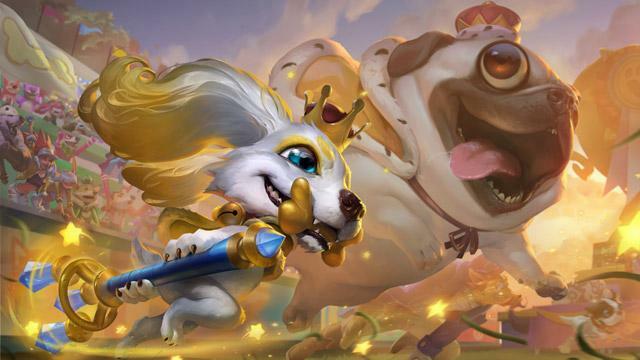 Official Patch 9.6 Notes Released! In a somewhat surprisingly change, Riot's changed Tear of the Goddess items to only allow you to build one (including the upgraded versions). How much will this end up nerfing Ezreal? We'll have to wait and see...it should be a decent chunk to his late game damage though. Meanwhile, we've got plenty of buffs this time around including a couple big ones, including a general buff to Urgot that should make him viable in the top lane again. Check out the full scope of changes below! Hey beauties. 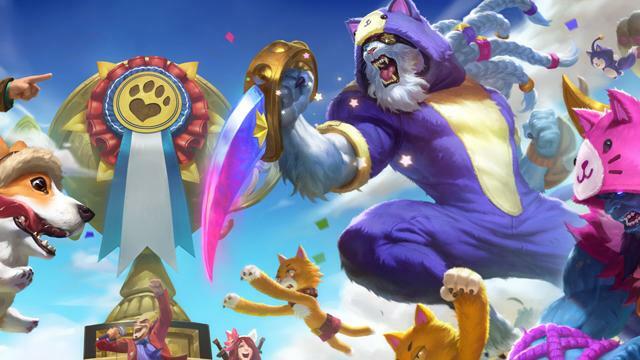 We've got a whole bunch of stuff in this patch, including some small updates to features like LeaverBuster, frame-rate cap, and the Missions Tracker.There’s some tuning to champions we've been seeing regularly, including Neeko (who was nerfed midway through 9.5), Sylas, and Rek'Sai. Kayle is getting minor adjustments based on her first patch performance after being updated. We're bringing ol' Urgod back into relevance with a shield shuffle (it's on his E now! ), general buffs, and walking turret mode. Last thing: We broke double Tear Ezreal. Attack damage growth and attack speed growth decreased. W movement speed ratio decreased. Default adaptive swapped. E and W responsiveness increased. Kayle is looking quite strong, especially as players learn how to play her, but her W and E can feel awkward since she typically builds a lot of attack speed. We're fixing that as well as buffing up her W to be a better reactive defense in lane (instant haste = easier dodging). To compensate, we're hitting her late game power in ways that make her a bit more item dependent. Attack speed growth increased. W no longer procs twice in a row at very high attack speeds. 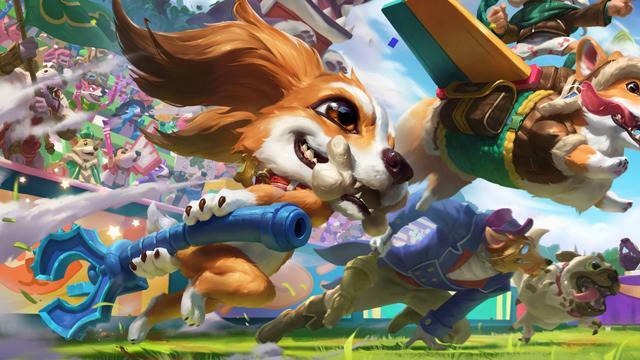 We’re pulling back a bit on Neeko's mid-patch nerfs, specifically making sure her basic attacks feel good later in the game, regardless of if she’s building attack speed. W cooldown decreased. Recommended items updated. Ornn can no longer accidentally cancel E and R dashes by upgrading ally items. Q no longer expires if Ornn is mid-dash. Before his update at the beginning of the year, Ornn was mostly just a lane bully. Now, he's somewhat the opposite: weaker early but powerful late. Given the current level of importance early game strength has relative to late, the surly sheep has room for a buff and some quality of life changes that'll make him feel more satisfying throughout his matches. JUST A LITTLE LONGERIf a pillar is about to expire when Ornn casts E - Searing Charge, it now lasts until Ornn's dash completes. For real this time. Mana, mana regen growth increased. Passive no longer deals reduced damage to the same target. W shield removed; cost, cooldown, damage reduction decreased; now a permanent toggle at max rank. E now shields; damage and cost increased; cooldown decreased. R range, damage, cast time increased. We cut Urgie's legs out from under him a couple of patches ago. Thankfully he's got lots of them, so we're confident we can get him back on his feet. We're moving his shield from W to E so we can turn Purge into a permanent toggle late game, letting Urgot become a walking turret that also grinds people up and leaves them to disdainfullybleed to death. Aatrox now pulls targets even when they're untargetable. Passive no longer cancels when reviving. We want to encourage more marksman picks at higher skill level so we're buffing a few options toward viability. We're working on striking a balance between Gnar and Mega Gnar that doesn't overwhelmingly favor one form. Right now, players are sticking to poking and kiting in his smol form, so we're making his Mega evolution a little more attractive for players to use. Q stacks correctly and increases damage. We're givin' the pony an extended-combat buff to help out his more bruiser-y builds (not the ones where he rushes out of Fog of War to one-shot you). W more quickly empowers Ivern's attacks when he enters brush. This small change should greatly improve Ivern players' experience with entering a brush. Jayce is a little too oppressive in lane, especially in pro play. Players, understandably, love a guy who rocks melee-like base stats along with ranged functionality. We're changing his base stats to be more similar to those of ranged champions, making him more vulnerable early. We're removing some raw burst from LeBlanc’s Q so her successes come more from mobility and skillshots rather than a point-and-click button. Armor increased. Passive cooldown decreased. We’re helping Naut out with some added bulk and early game CC. His jungle clear should also benefit from these changes. R cooldown increased late; ratio decreased. We added a lot of reliability to Rek’Sai’s ultimate in 9.4, which has been especially impactful in higher-tier games. We're following up by slightly nerfing its raw strength to make her less of a "must-pick" for junglers across the board. Giving Shen some power to better battle it out in top lane. W base heal and heal ratio decreased. We're continuing tuning on Sylas since if we left him alone, he'd probably stay omni-present in pro play and high tiers. We're hoping to alleviate some of the frustration players are feeling when going up against him by specifically targeting his heal. Helping out Trundle's early game laning and jungling. E cooldown increased; slow decreased late. All Tear items now belong to a Tear item group, with a maximum of 1 allowed. We told you that we were potentially nerfing Ezreal last patch, and we decided that targeting his Double Tear build was a better solution than directly changing him. We're putting all Tear items into one group so players can't buy more than one Tear of the Goddess (and subsequently, its upgrades). After these changes go into effect, we don't expect Ezreal to stay as super dominant as he has been, but we’ll be keeping an eye on him. Charges and initial cooldown decreased; damage bonuses increased. This rune has become a pro staple for its ability to clear cannon minions easily and maintain push/wave control. To help other runes compete, we're decreasing the charges on Dematerializer, but we’re also giving it some buffs so it can still be considered useful in other situations. 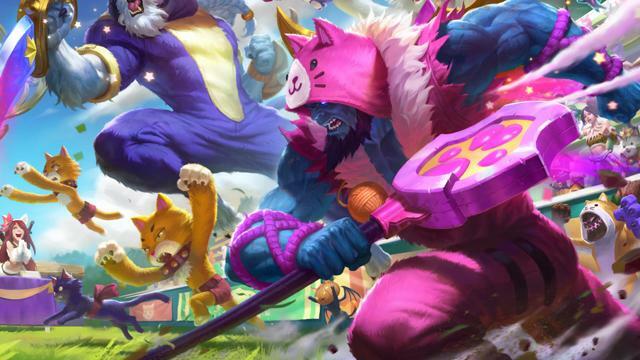 Overheal is currently a must-pick with pros on ADCs. We want players to have more flexibility with rune paths, so we're nerfing it so other runes can keep up. Minion and monster gold bounties accrue more slowly and decrease if you lose your advantage. Scoreboard numbers no longer include base kill or first blood gold. We originally tuned minion and monster gold bounties to match the ratio between gold earned from a champion kill and gold added to your bounty: 50 bounty per 150 farm gold advantage matches 100 bounty per kill since 300 is the base kill gold amount. Gold (and experience) aside, however, kills offer more benefits than farming. As a result, minion and monster gold bounties feel too aggressively tuned. We're adjusting their growth rate and mechanics to bring them to a better spot. NEWVALUABLE SUPPORTSupport item gold now contributes to minion and monster gold bounties to accurately reflect when someone is farming and also using a support item. Maybe we should start calling them income bounties? Many players interpret the gold numbers on the scoreboard as how much additionalgold a kill is worth relative to other members of that team—in other words, just the bounty value. Since we added this visualization at the same time as minion and monster gold bounties, it's also created a misconception that farming well immediatelymakes you worth hundreds more gold to the enemy team. We're adjusting these display numbers to match the way players interpret them. VISUALSScoreboard and chat bounty numbers now only reflect the gold value from bounties. The 300 base kill gold and 150 first blood gold values have been removed from these displays. Actual gold payout on kill unchanged. We've gone through the types of ability procs in the game and fixed a few inconsistencies. Now, the ability procs split into roughly three main categories: on-ability-hit, DoT & AoE, and pet damage. This work is pretty under-the-hood for the most part, but there are three major changes that'll ensure our proc systems feel more consistent moving forward. First, we've unified all on-ability-hit procs. Now, if something activates an on-ability-hit proc for one thing, it should proc all the other items and runes that do the same thing. This expands the number of abilities that can proc any of these items/runes. For DoT and AoE effects, many abilities which fall into both camps were previously labeled as either one or the other. We went through and made sure those abilities are now properly marked as both. Lastly, we're making pets consistent. Moving forward, all pet attacks will share the same proc behavior. Currently, that means that all effects which proc on-ability-hit (ex. Liandry's, Rylai's, Luden's) now proc off all pet attacks too. This opens the door for effects that'll proc on-ability-hit but not on pet attacks (or the other way around), but if we cross that bridge, we'll do so consistently for all pets. Effects that treat DoT and AoE effects differently will go with the more restrictive classification. The pets listed below have been changed to all proc the same effects. (Again, that currently means all on-ability-hit effects.) Quick sidenote: Champion clones aren't pets. Annie's Tibbers swipes (also classified as basic attacks for dodge purposes). The fire aura is classified as an ability hit and an AoE effect. Ivern's Daisy (also classified as basic attacks for dodge purposes). The big slam is classified as an ability hit and an AoE effect. We turned off Position Ranks in North America and Korea partway through last patch and won't be rolling them out in other regions. We want to thank all the players who tried out the Position Ranks during this time and for submitting feedback to the team. Here are a few other changes too! We've seen reports of spikey FPS and a few visual bugs from players who use the Uncapped framerate setting. Since Uncapped is currently the default setting, tons of players are (often unknowingly) using it without coming anywhere close to 240 FPS, the next cap down. We're changing the default FPS and doing a one-time switch for everyone currently using Uncapped to address the majority of these issues. RESETPlayers who currently have their framerate cap set to "Uncapped" will have their setting changed to 240 FPS when patch 9.6 launches. You can choose to switch back to "Uncapped" if you'd like. The missions tracker now groups missions into tabs based on event and mission type. You can navigate through tabs via a new sidebar in the tracker. If you're a big picture sort of person, there's an option to show all of your missions at once. We took a pass at updating LeaverBuster to improve its accuracy and effectiveness. Overall, it'll be more forgiving for those who are unintentionally leaving games for reasons outside of their control. The following skins will be released this patch. 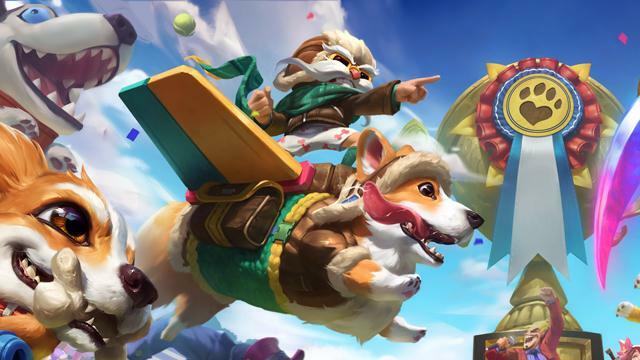 Grab the League Displays app for full-res splash art!